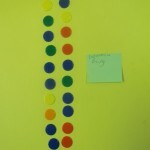 Today in Maths we continued to learn about fractions. 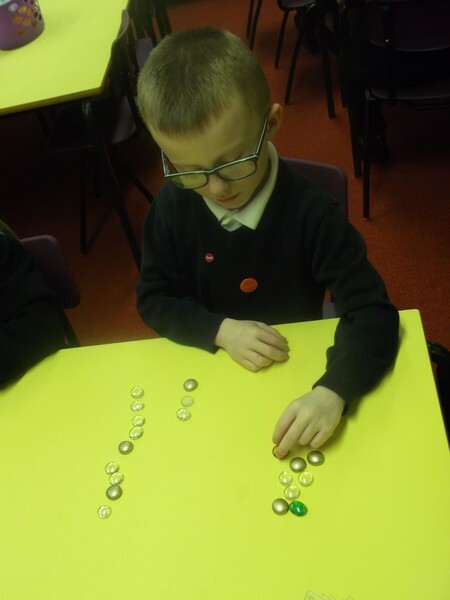 We practised sharing objects into half and writing down what we had found out. 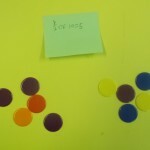 We learnt that if a number is odd it can still be shared with a half so half of 7 = 3 and a half. 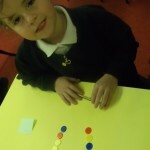 We enjoyed our practical Maths lesson learning about halving. 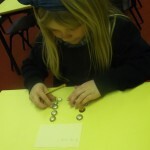 We are going to find quarters of objects tomorrow. 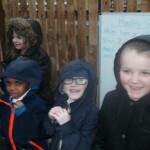 Despite the weather(and it was awful!) 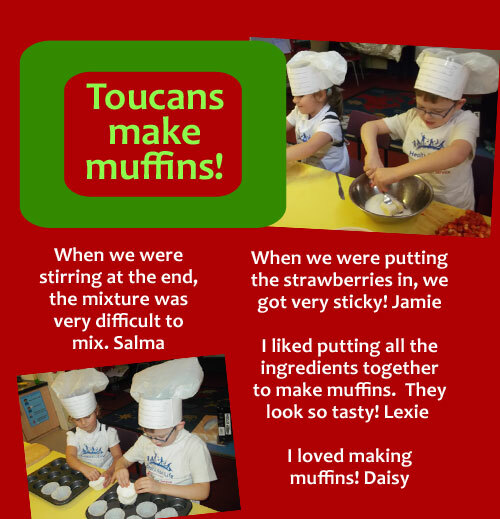 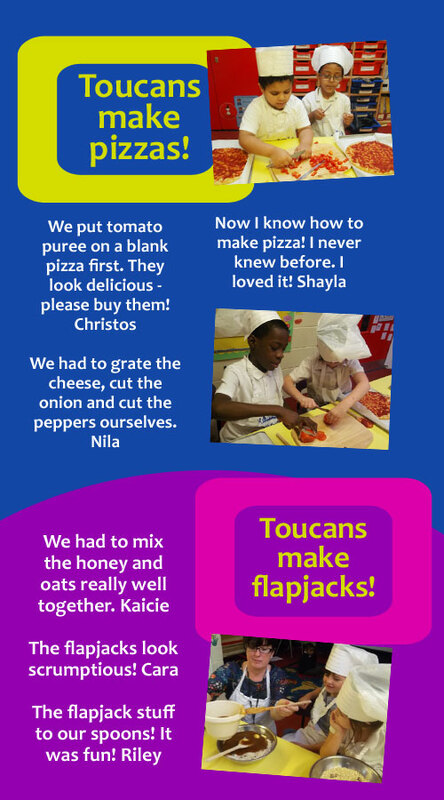 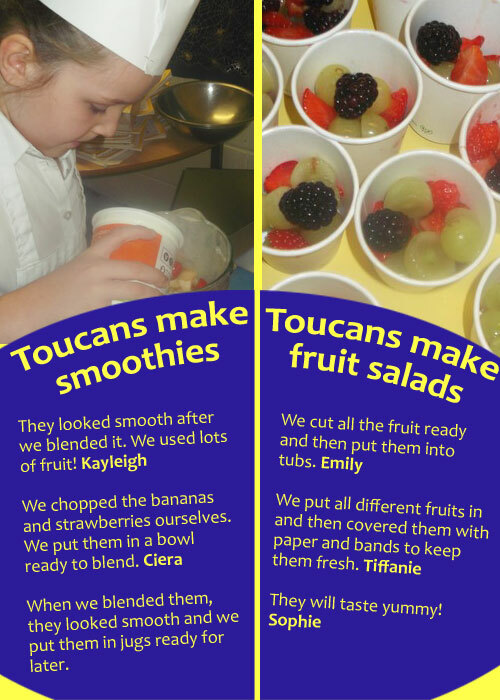 Toucans were fantastic at running their Cafe this afternoon. 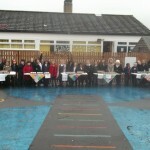 They all worked extremely hard to prepare their tables and we were all set up… and then the rain arrived! 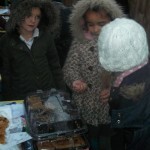 But just like the hard-workers they are, they didn’t let it bother them at all. 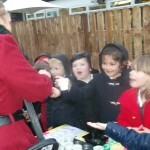 They were very enthusiastic! 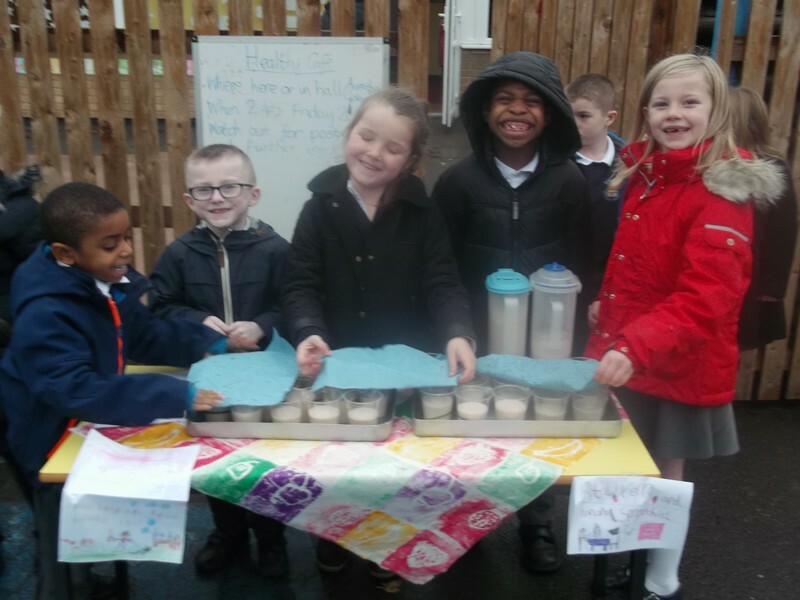 They could be heard from the gates shouting things like ‘Roll up, roll up, healthy smoothies for sale’ and ‘Come and buy your fruit salads, they will make you strong and healthy’. 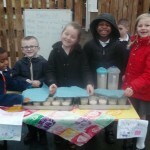 They made us very proud with their work on money, charging the exact right amounts when people bought more than one thing. 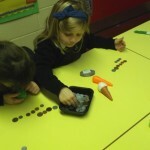 They also tried hard to work out the change. 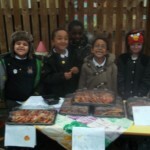 The weather forced people away early so we didn’t sell everything but we had very good feedback about the products we did sell. 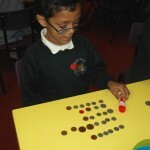 Most of all, we had great fun and we learnt a lot about how Maths helps us in real life. 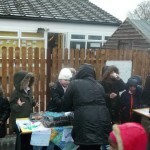 Thank you to all the parents who supported us. 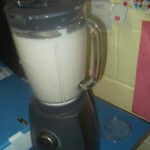 This morning row 1 made smoothies with Miss Williams. 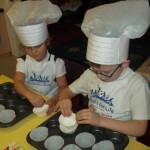 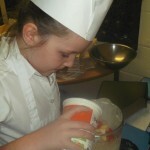 This afternoon row 3 made strawberry muffins with Miss Williams. 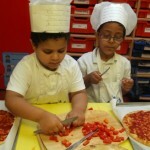 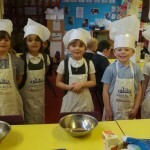 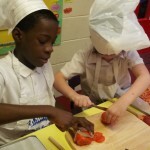 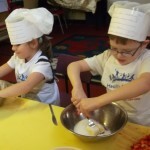 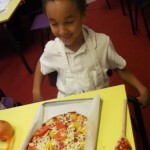 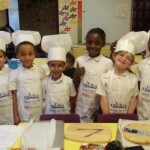 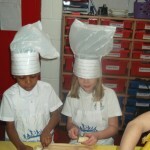 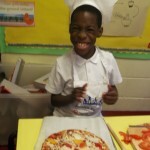 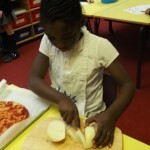 This morning row 5 made their vegetable pizzas with Miss Williams. 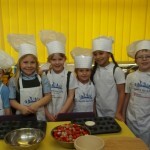 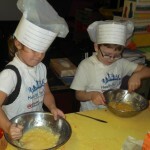 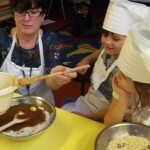 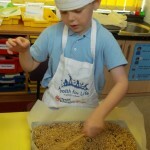 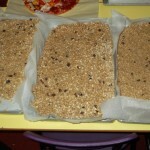 Also this morning, row 2 made honey and raisin flapjacks with Mrs Murphy. 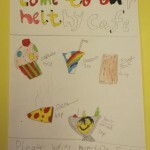 In Literacy we made posters to put up around school to advertise our Healthy Cafe on Friday. 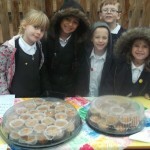 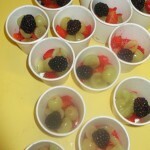 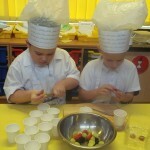 Today we continued with our Healthy Cafe theme for Maths Week. 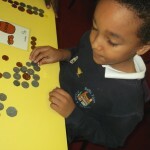 In our Maths lesson we practised adding together the amounts of money we will be charging on Friday. 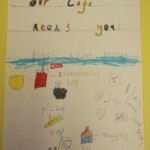 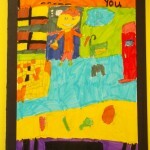 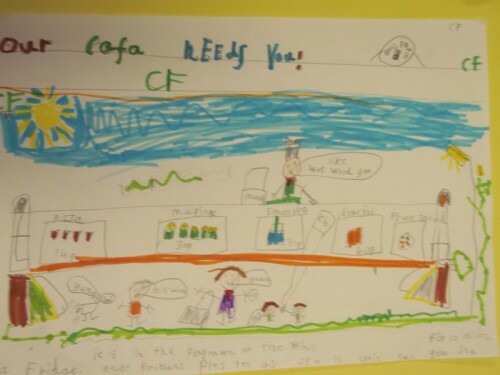 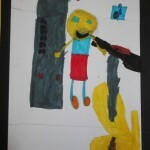 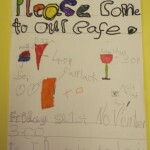 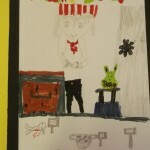 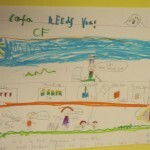 In Literacy we made posters to put up around school the advertise our cafe. 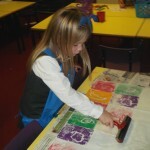 This afternoon we printed tablecloths to make our tables attractive for the cafe. 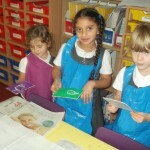 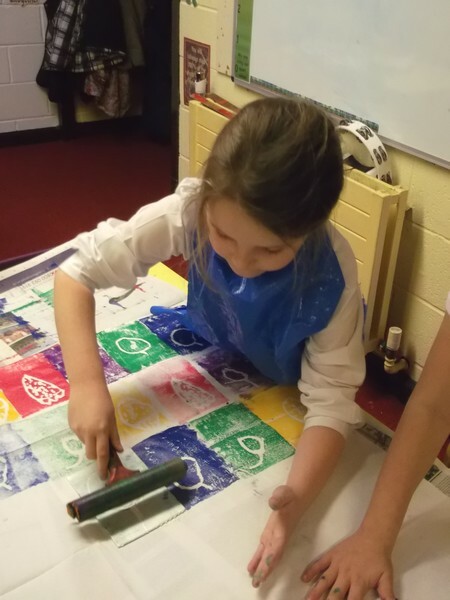 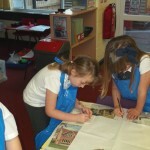 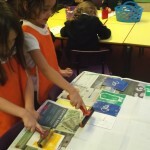 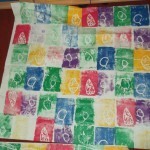 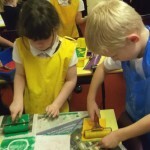 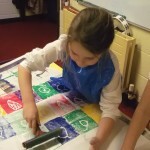 We worked as a team to make printing blocks and organise ourselves to print. 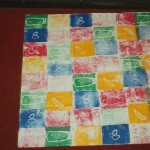 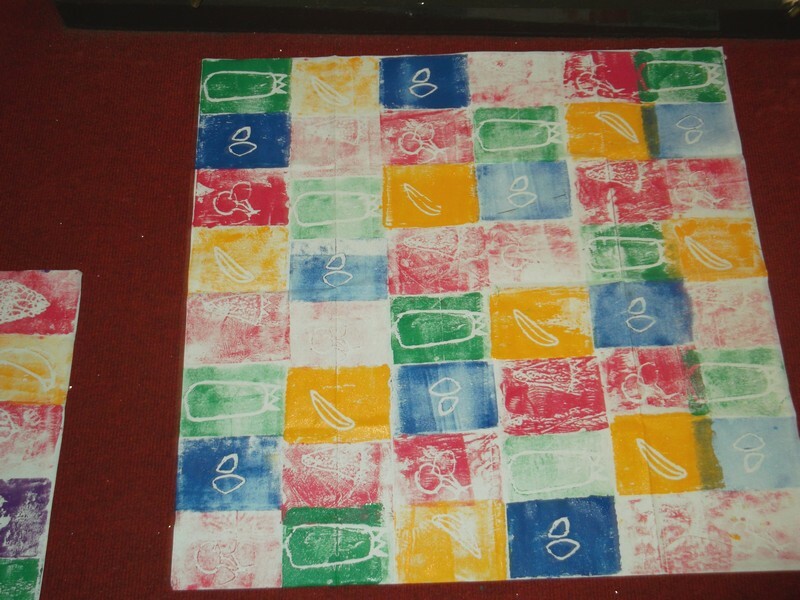 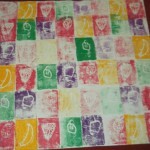 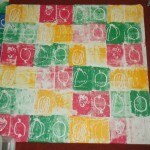 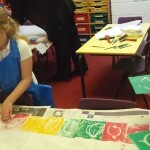 We all drew a different fruit onto our polystyrene tiles and then took turns to print in our colour. 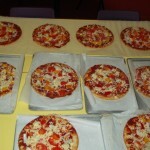 It was hard work to keep it neat but I am sure you we will agree we did a great job. Today in maths we were finding different combinations of coins that equal the same amounts of money. 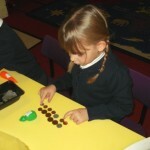 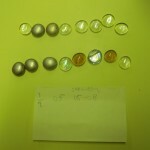 On each table there were pots of coins which had 1p, 2p, 5p, 10p, 20p and £1 in them. 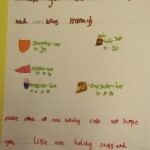 Also there were food that had different prices on them. 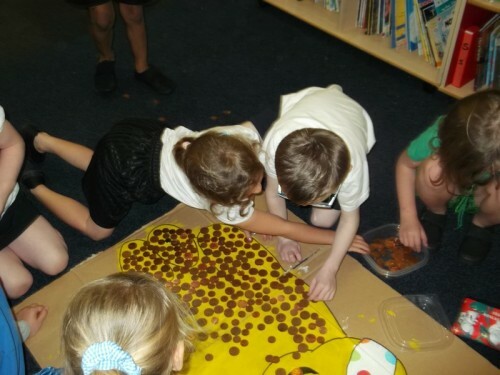 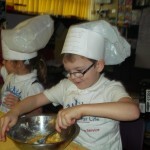 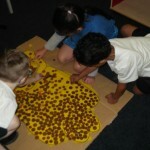 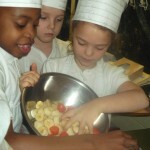 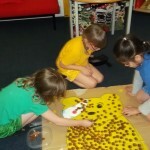 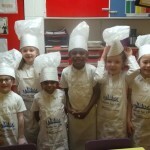 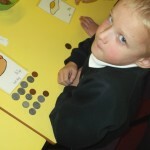 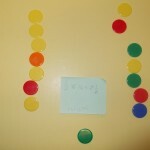 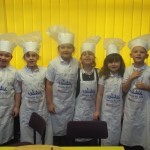 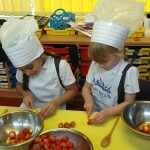 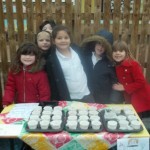 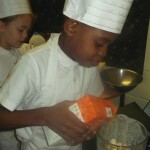 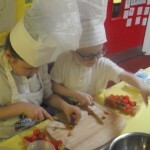 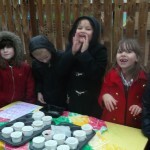 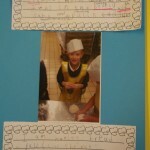 Each child had to pick a labelled food and then make that amount of money in lots of different ways. 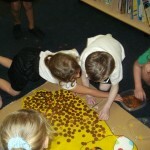 Once they had done this, they then had to decide which was the best way. 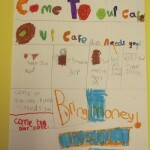 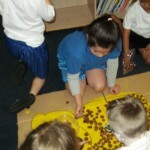 We really enjoyed doing this and found lots of different ways to make the same amount of money. 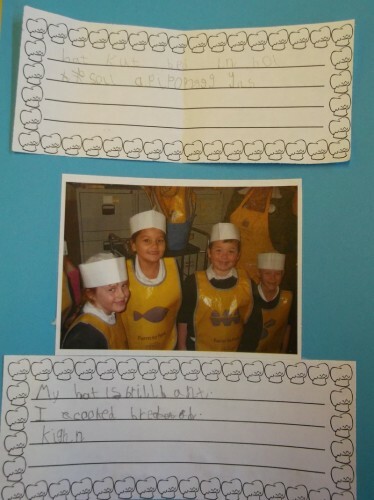 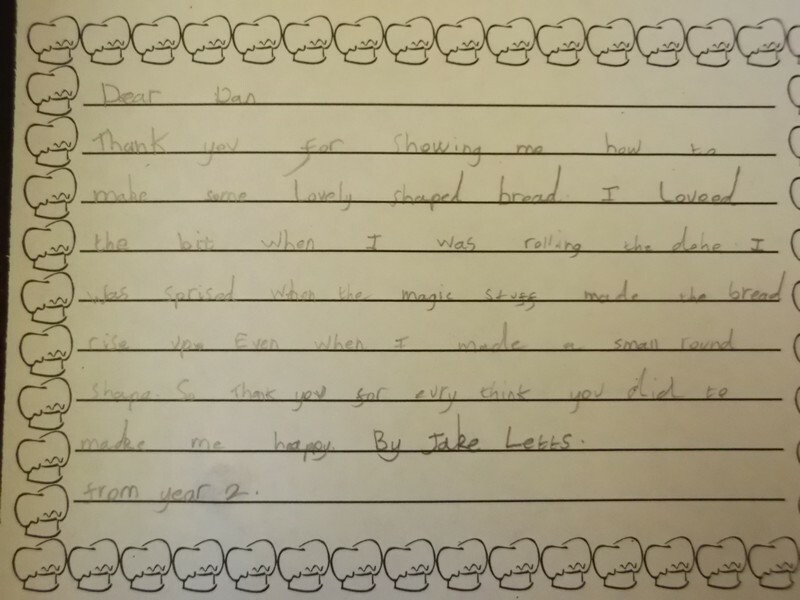 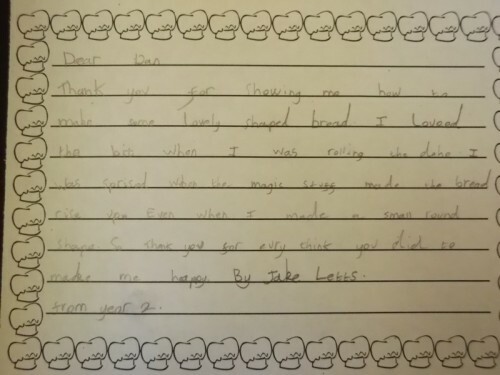 Today we wrote some thank you letters to the staff at Tesco for our wonderful trip. 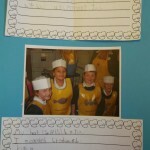 We also did some writing about the trip to go on display in our classroom. 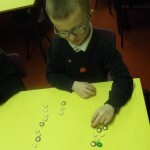 We had a go independently, then Miss Williams and Mrs Murphy helped us to think about what to improve. They highlighted in pink things we needed to edit. 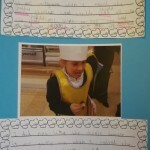 Pink means think! 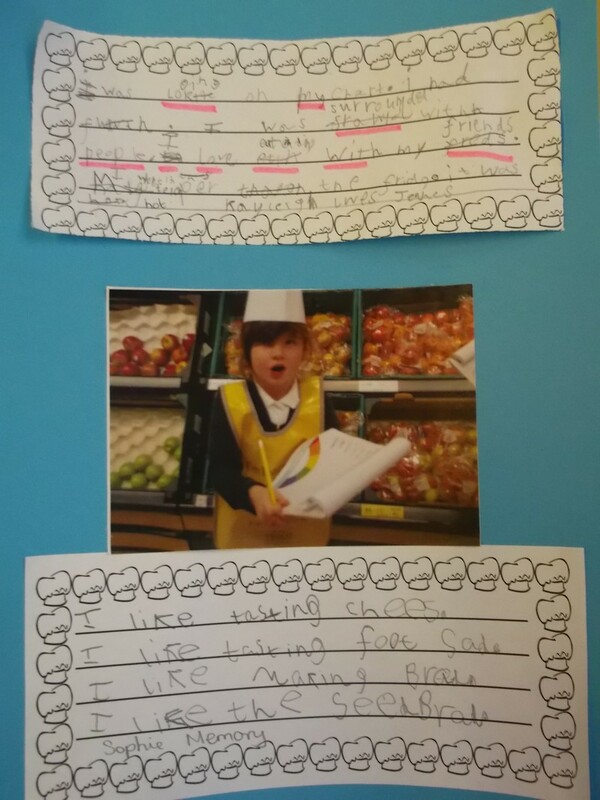 We checked our spelling, added punctuation and re-read them to make sure they made sense. Then we copied them up in our neatest handwriting (we are really concentrating on using ascenders and descenders) to go on display in our classroom. 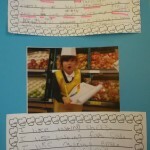 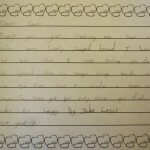 We are always trying to improve our writing and are pleased with what we achieved. 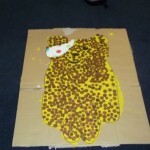 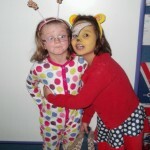 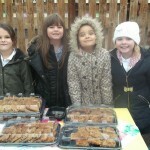 This week we raised money for Children in Need in school. 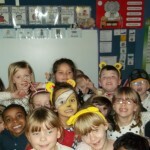 We wore spotty clothes and some of us even wore bear ears for the day. 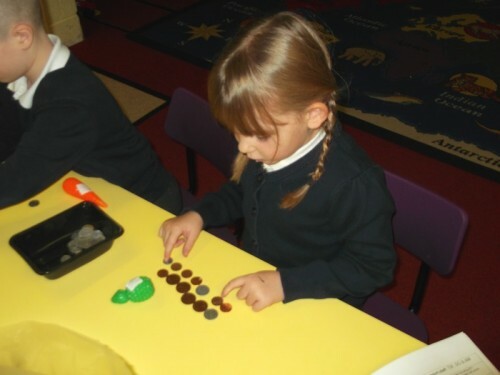 We also bought in copper coins to try and cover Pudsey bear. 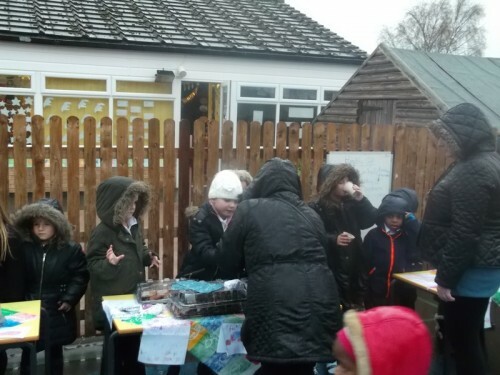 We were all very generous… look how much we covered!